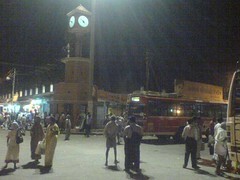 The journey started at my place - Cuddalore bus stand at about 5.00 a.m. on 18th Jan'08. I have to travel from Cuddalore to Asiana Hotel via Pondicherry through the ECR road. Its a 3.5 Hours journey. Ofcourse reached the place by 10.00 a.m. The welcome team at the venue. 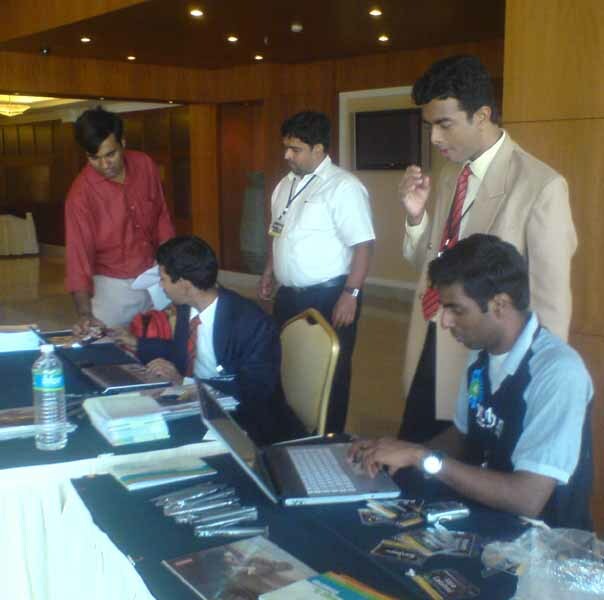 The way the event was organised is highly systematic, with the badges given to participants having their individual names neatly printed in it. As I skipped to register my name at the proto site, I missed to get the pretty badge. Dumb me.. 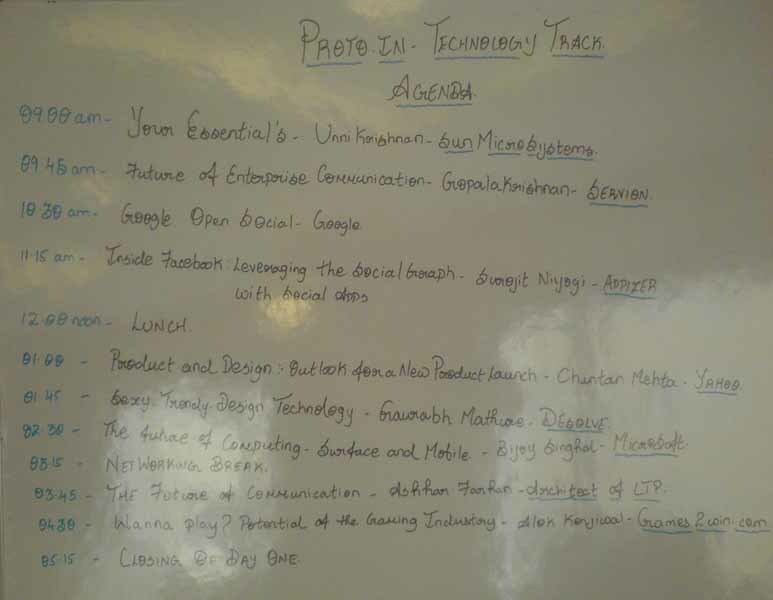 Here goes the agenda of the technology track. Pity me had I reached in time, I might not have missed the initial juices. A talk going on the Track Two - Technology & Trends, If I remember right, the talk is about Facebook et la. People sticking on to the talks. 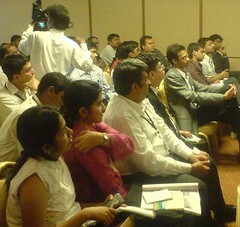 After a while I moved on to other hall where Business Track was going on. Surprised to see the hall is overflowing, with some people even standing and hearing to the speaker. Another speaker giving out his talk at the Business track. Finally I got settled for Vishal Gondal's talk titled "From Nothing to Something - The Experience"
He is the brain behind the portal Indiagames.com. His talk was quite catchy. 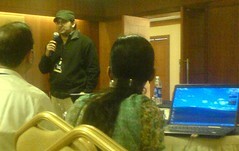 He shared his business experience with the audience. He started his games business and initially there were few takers for it. A Pepsi factory was nearby his office and he wanted to demonstrate his product to the General Manager of the factory. After pleading with the Pepsi fellow he got their nod to make the demo. So was the time that there were no CDs and one has to rely on floppies for transferring his memory crunching files. He took his whole set up of his desktop PC to the Pepsi factory and gave a demo to the people there. The game is a simple one in which the player pounces on a virtual Pepsi bottle on the monitor. The response from the folks were overwhelming with the HR people of Pepsi suggesting the game to spruce up the morality of their sales persons. Vishal started tasting success in his business. Another mention is that he got a call from PricewaterhouseCoopers the name which he had not even heard of then. Since he had thought that they are the people in water business, he turned down the conversation. In the meantime his office then witnessed a first of its kind "People with Suit and Tie " visiting them, those were the people from Pricewaterhousecoopers. It is the first time that people wearing ties have set foot to to his office which made news among the people around. 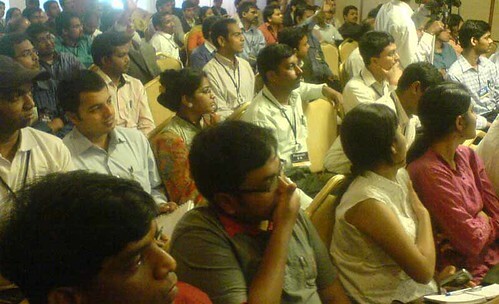 He: Any one here paid money for attending this event? Then one person raised his hand. Hey, just for attending this conference you are paying money. No. He stresses that knowledge should be gained without spending money. A good ideology. 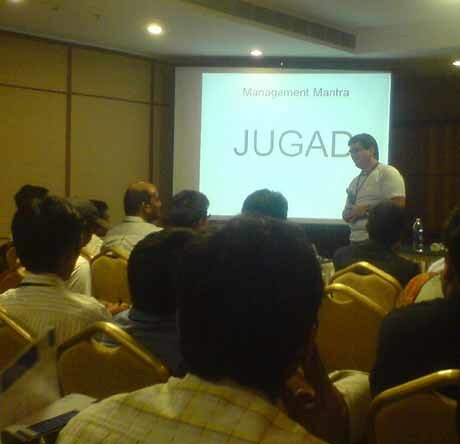 His ideology of successful business - JUGAD the management mantra. 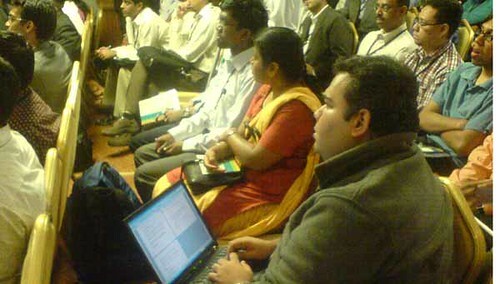 Want to know what is that, just google the word JUGAD, he tells us. "For coming to this conference do you really need to wear Coat, Suit and a Boot ??" he asks funnily. Although his talk has ended people were hesitant to go away. 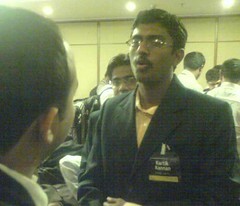 This is Karthik, doing MBA @ Great Lakes Institute of Managment. 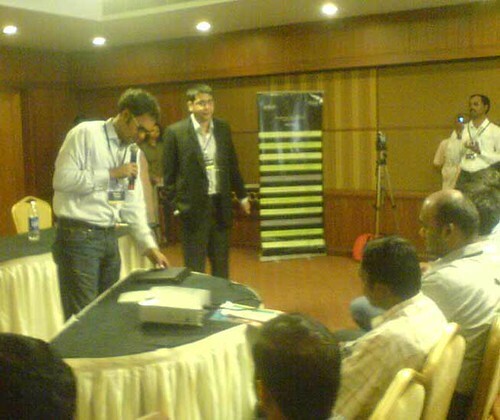 I saw him at the venue when Vishal Gondal's talk was going on. I met him first at the Podwords way back in the month of June 2007 at Tidel Park in Chennai. Then I was starting this blog and trying different combination of names on Karthik's Laptop PC. 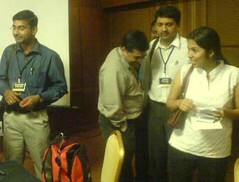 A talk between me and Karthik suggesting to add the word cool to my name clicked to the birth of this blog. 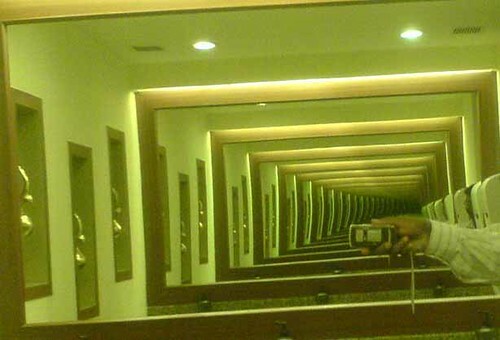 Way back in school days I remember studying in physics class that there is a formula to find how many images appear between two mirrors, it relates the angle between the mirrors, If you know please let me know it. Good play of image and words. it was unfortunate that we couldn't meet...I was hoping that I would find you....but it seems the crowd was somewhat big for us. Thanks for the example, it was a nice post. atleast could i identify you in any of the photos at my blog! I should appreciate the way you document your life on this blog. Spent few minutes skimming through it. Nice read.